that are cooler than USDA Zones 8-11, and in areas with wet summers. These 12" plants are great for borders or as companion plantings for brightly colored annual flowers. 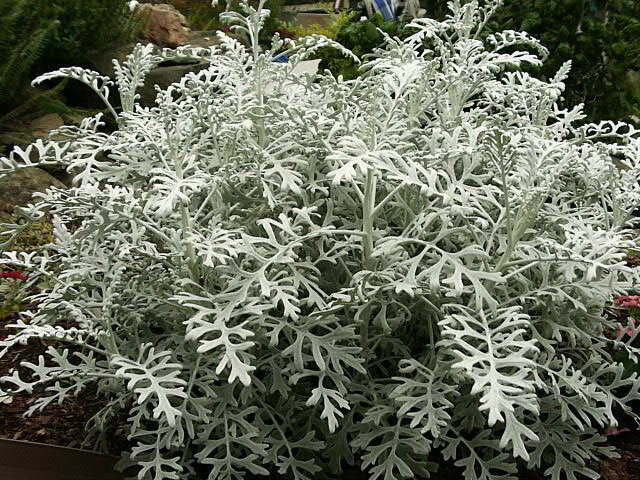 The foliage is silvery-gray to nearly white and has a soft, felt-like texture. The leaves may be shallowly cut like an oak leaf to deeply incised like the fronds of a fern. Dusty Miller is best known for its striking foliage, but it also produces loose clusters of 1-1½", mustard yellow flowers. Dusty Miller should be grown in full sun, but they will tolerate light shade or partial shade in the heat of the day. Plant them in well drained garden soil and only water moderately until they have settled in. 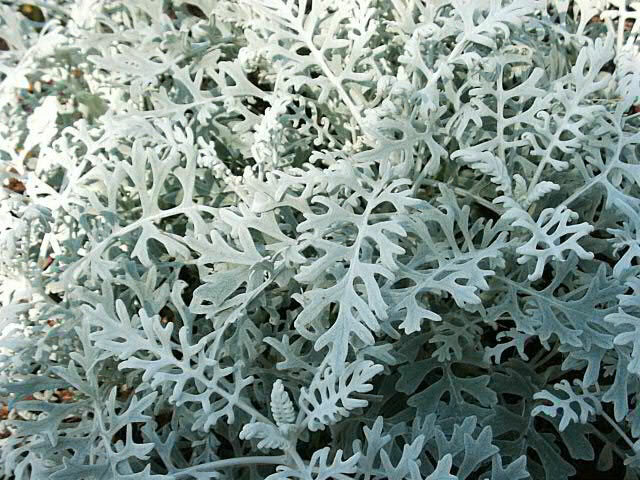 Once established, Senecio cineraria are very drought resistant. This makes them a excellent addition to an annual container garden. 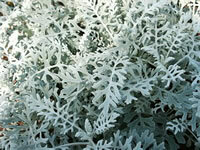 Dusty Miller is also very tolerant of heat, salt air and poor soil conditions. Start seeds indoors, 10 weeks before the date of the last killing frost. Dusty miller seeds are very small and need light to germinate, so do not cover them with soil. Sow them on the surface of moistened soil and maintain a temperature in the medium of 65-75°.